Sometimes less is more when it comes to day trading. Devoting two to three hours a day is often better for most traders than trading the entire day, for a couple of reasons. Why Does Less Make Sense? Specific hours provide the greatest opportunity for day trading, so trading only during these hours can help you maximize your efficiency. Trading all day takes up more time than necessary for very little additional reward. In many cases, even professional day traders tend to lose money outside of these ideal trading hours. Additionally, day trading requires discipline and focus, both of which are like muscles. Overwork them and the muscles give out. Trading only two to three hours a day keeps you on your game, and it won't likely lead to the mental fatigue that can negatively affect your work. Trying to trade six or seven hours a day can drain you and make you more susceptible to mistakes. Of course, everyone has different focus levels and discipline levels. Some traders might be able to trade all day and do it well, but most do better by only trading during the few hours that are best for day trading. So When Is the Best Time to Buy Stocks? Now that you know that trading for shorter periods of time can be more efficient and productive and that it will likely make you more money and leave you with more mental energy, here are the few hours of the day to focus on when you're day trading stocks or stock index futures. Keep the big picture in mind, too. Monday is usually a good day to buy because the market historically tends to drop at the beginning of the week, particularly around the middle of the month. 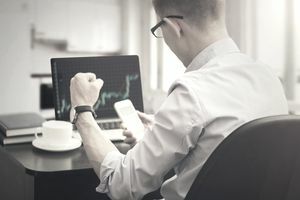 Many experts recommend selling on Friday before that Monday dip occurs, particularly if that Friday is the first day of a new month or when it precedes a three-day weekend. Likewise, prices tend to drop in September then hike again a month later. October tends to be positive overall. Prices tend to go up again in January, particularly for value and small-cap stocks. Trading during the first one to two hours that the stock market is open on any day is all many traders need. The first hour tends to be the most volatile, providing the most opportunity. Although it sounds harsh, professional traders know that a lot of "dumb money" is flowing at this time. Dumb money is created by people making transactions based on what they read in the newspapers or saw on TV the night before. But the information these people are acting upon is typically old news. This often creates sharp price movements back and forth as dumb money flows in, pushing a stock or the index in one direction. Then professional traders take advantage of the great price, pushing it back the other way. New day traders are often told not to trade during the first 15 minutes of the day, and that might be good advice for very new traders, but the first 15 minutes is a gold mine for seasoned traders. This time period can offer some of the biggest trades of the day on the initial trends. In fact, Bespoke Investment Group has indicated that the first hour is the most profitable time of day to buy and sell. Normal trading begins at 9:30 a.m. EST, so if you're day trading stocks, 9:30 to 10:30 a.m. ET is often the best hour of the day. It offers the biggest moves in the shortest amount of time — a great and efficient combination. You can extend this to 11:30 a.m. ET if you want another hour of trading. A lot of professional day traders stop trading around 11:30 because that's when volatility and volume tend to taper off. Trades take longer and moves are smaller with less volume when that happens — not a good combination for day trading. If you're day trading index futures such as S&P 500 E-Minis (ES) or an actively traded index ETF such as the S&P 500 SPDR (SPY), you can begin trading as early as 8:30 a.m. premarket, then begin tapering off at around 10:30 a.m. This provides a solid two hours of trading, usually with a lot of great profit potential. As with stocks, trading can continue up to 11:30 a.m. ET, but only if the market is still providing opportunities to capitalize on the trading strategies you're using. Many day traders only trade the morning session, but many also trade the last hour of the day, from 3 to 4 p.m. ET. The trader has had a long break since the morning session, allowing him to regroup and regain his focus. The last hour can be a lot like the first when you're looking at common intraday stock market patterns. It's full of bigger moves and sharp reversals. Like the first hour, many amateur traders jump in during the last hour, buying or selling based on what has happened so far that day. Dumb money is once again floating around, although not as much as it was in the morning. It's ready to be scooped up by more experienced money managers and day traders. The closing auctions can also drive prices in the last several minutes of trading, causing big moves that can leave amateur traders wondering what just happened. Based on these parameters, there's little need to day trade for more than four hours a day, from 8:30 to 11:30 a.m. then perhaps from 3 to 4 p.m. ET. If you're choosing only one hour to trade, 9:30 to 10:30 is typically the best slot, providing the most opportunity. Premarket trading before the official 9:30 a.m. open isn't for everyone, so your trading day will max out at about three hours if you only trade after the opening bell. The goal is to maximize your gains in the shortest amount of time. Trade for two to three hours and you'll likely find that you perform better than if you had traded all day. Less is more. Establish the trading hours that work best with your strategies or build a strategy around a specific time of day, then stick to it. Can the Stock Market Crash Again?